Delta Airlines has banned any dog they deem is a pit bull on a plane, even a legitimate pit bull service or assistance dog. 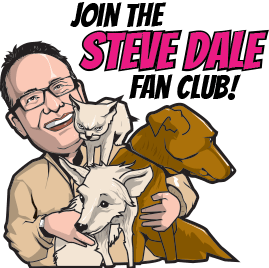 The Animal Farm Foundation suggested I speak with Fiona Gilbert on my national Steve Dale’s Pet World radio show, about her service dog who happens to look like dogs we call pit bulls. Fiona Gilbert and Koda. Fiona truly depends on her dog, but Delta Airlines doesn’t much care because of the way her dog looks. Gilbert has multiple sclerosis and also has seizures.and she truly depends on her service dog. 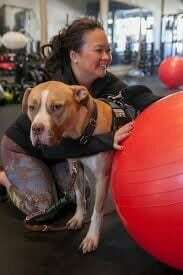 Koda helps her to walk, and also predicts her seizures. However, Delta Airlines apparently suggests her dog (and others who look like Koda) are dangerous, based merely on their physical appearance. Gilbert notes that Koda is a legitimate service dog and has never caused a problem, but that apparently doesn’t matter. 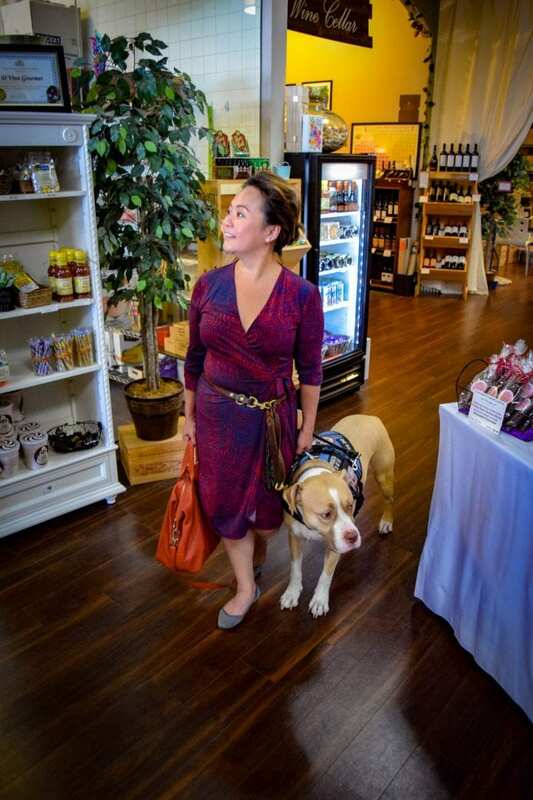 Some people doubt her dog is a “real service dog” because her dog is identified as a pit bull. Or others wonder if her dog will one day turn on her. I call all this unfortunate ignorance. 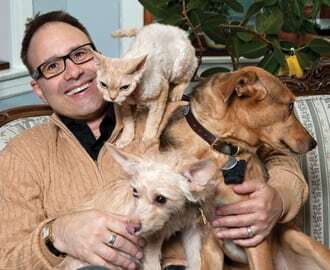 Why doesn’t Delta Airlines contact the Animal Farm Foundation, the American Veterinary Medical Association, or others with expertise? Fiona says she’d be hard pressed to manage and have a real working life without Koda.